High speed internet could be delivered through the lights in homes and offices, revolutionising the way we download and upload information in the future, find UCL researchers. Academics from UCL, Northumbria University and Newcastle University are developing a new type of organic LED (light-emitting diode) which will communicate with smart devices such as tablets and phones to download and upload huge amounts of data. Known as 'LiFi', the new technology uses visible light communication to transmit information. LEDs in ceilings can be turned on and off at a very high frequency that isn't visible to the human eye to communicate with LEDs in phone or tablet screens. Dr Paul Haigh (UCL Electronic & Electrical Engineering) said: "The LEDs we are developing are plastic, flexible devices which are cheap to make and which are already appearing in high-end mobile phones, tablets and televisions. "We are incorporating these into a thin film, just 500 nanometers (0.0005 millimetres) thick that could be used as a smart phone or tablet screen, allowing it to act as a LiFi transmitter. "In addition, as well as looking at how we transmit information from a light in the ceiling to an electronic device, we are the first researchers to also consider how we can transfer information the other way too, allowing devices to essentially talk to each other." The research team - made up of academics from UCL, Northumbria University and Newcastle University - is focusing on the creation of a new low-cost, plastic all-organic LED which will be used to develop the world's first complete visible light communications system. Project co-lead Professor Zabih Ghassemlooy (Northumbria University Optical Communications and head of the Optical Communications Research Group) said: "In the future almost all the lights we use in our homes and offices will be LED - they are cheaper, greener and more efficient, using up to 10 times less energy than traditional incandescent or fluorescent lights. 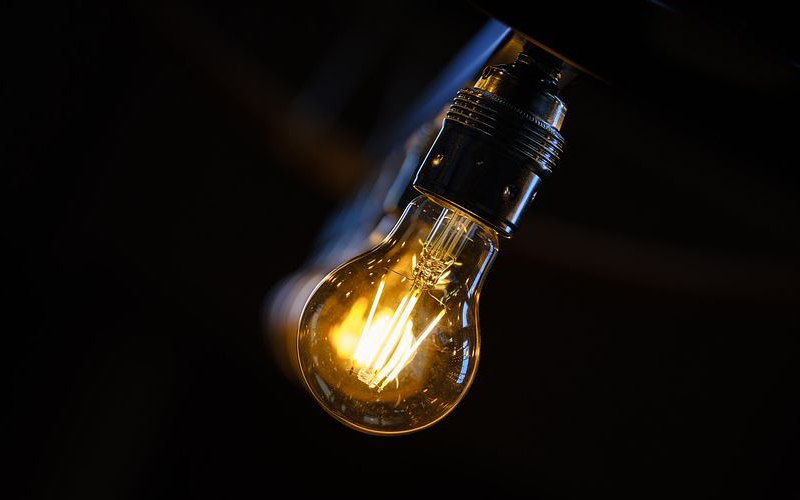 "Given the increasing amount of data we are all using, it therefore makes perfect sense to develop this LiFi technology so we can use our existing lighting infrastructure to provide fast internet in the future. "The new LEDs being developed at UCL during this project not only provide light but will have additional functionality to allow them to communicate with other electronic devices, not only delivering data but receiving it back as well." As well as the increased speed, LiFi could deliver further benefits over WiFi, including not exposing users to radio frequency radiation and being safe to use in areas such as hospitals, where WiFi cannot be used due to the electromagnetic interference it causes. With its ability to allow electronic devices to communicate with each other, LiFi could also successfully be used within homes and work places, as well as for car-to-car communication; underwater communications systems between various manned and unmanned platforms; for communication between handheld devices and as an enabler for local positioning systems. It is envisioned that smartphones will play a major role in the delivery of LiFi networks, with the technology expected to be in everyday use in the next five to 10 years. The research is being led by Izzat Darwazeh, Professor of Communications Engineering at UCL and Zabih Ghassemlooy, Professor of Optical Communications at Northumbria University. The research team also includes Professor Franco Cacialli, who leads the UCL group within the London Centre of Nanotechnology responsible for developing the novel organic devices for the project. Professor Ioannis Papakonstantinou, Dr Paul Haigh and Dr Alessandro Minotto of University College London, and Dr Hoa Le Minh and Dr Andrew Burton of Northumbria University are also involved in the research.